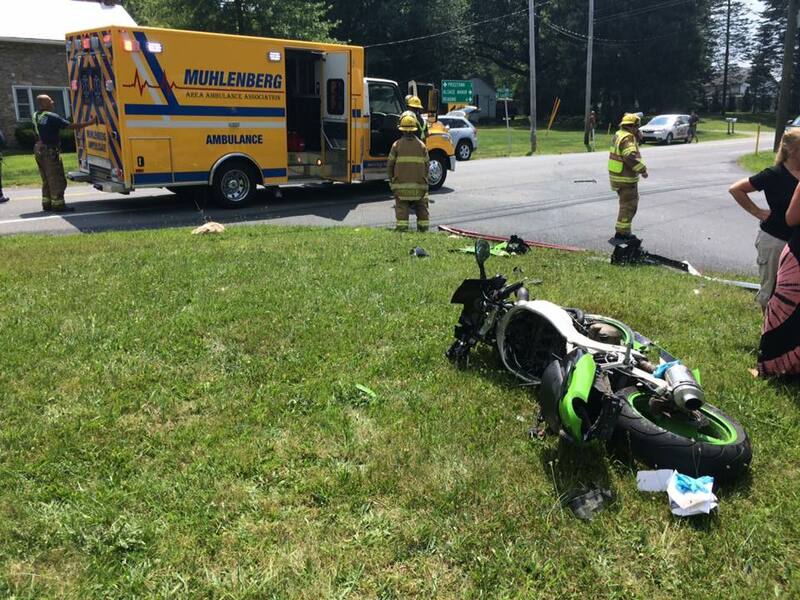 At 1315 hours, Companies 8, 11 & 560 were dispatched to Mt Laurel Rd & Pricetown Rd for a MVA with injuries involving a MC. Rescue 11 arrived and assisted Co 8 and 560. Two of our members went with the EMS crew to the hospital. Co 11 avail at 1415 hours. PHOTO CREDIT to the Alsace Fire Company Facebook Page.